Overhead garage doors also known as sectional garage doors. They are called sectional doors as they can be rolled up on tracks and stacked up closer to the ceiling. These kinds of doors do not require much space. The door remains lifted not occupying space on the ground. They are popular among homes and offices especially amongst space constrained places. 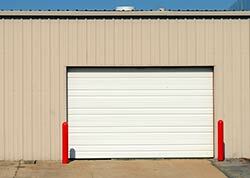 Trust Garage Door offers a variety of overhead doors in Nashville, TN area. These doors are weatherproof, have minimum noise levels, are visually appeal and secure. All doors are crafted with the best quality of raw materials for a longer life cycle. We have a strong team of garage door experts that have widespread expertise over installation, maintenance and repairs of overhead garage doors. Call us at your home and office to offer you the best quality garage door operation at the bare minimum rates. Our resources enable us to offer you a wide range of door options, of different designs, styles and colors. Popularity in this segment of doors also makes us adept at handling any issues regarding garage doors. 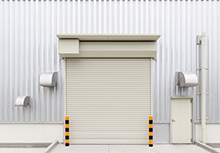 As overhead garage doors are popular due to space constraints we offer a variety of accessories and additional utilities to overhead garage doors. Our team is vastly experienced to solve any overhead garage door issue and offer the best garage door services in Nashville, TN area. Call us now to avail these services!